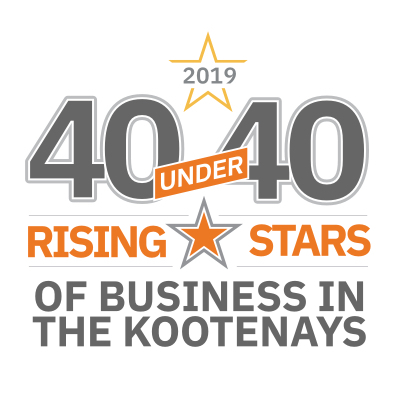 Our third annual 40 under 40 list is a salute to some of the leading entrepreneurs in the Kootenays. The younger business people listed here were nominated by our readership—many thanks to the nominators for their kind and revealing comments. And congratulations to all those on the 2018 40 under 40 list. We wish you much future success. Did we miss anyone? If you think we missed someone who should have been nominated, we’d be happy to consider them for inclusion on next year’s list. 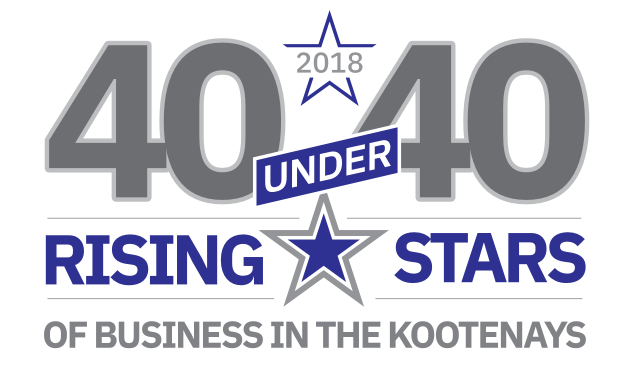 Click here to nominate your pick for the 2019 40 under 40 list. 2017 40 Under 40 List See who made the 40 Under 40 list in 2017. 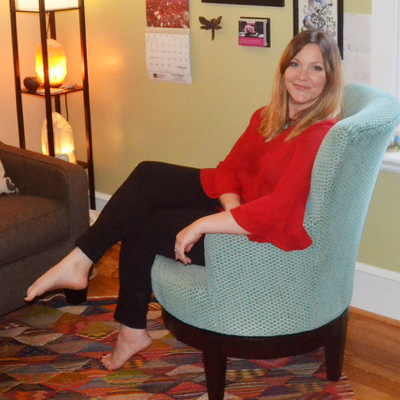 MANDY CHUTSKOFF, co-owner, yoga instructor, Oranj Express. 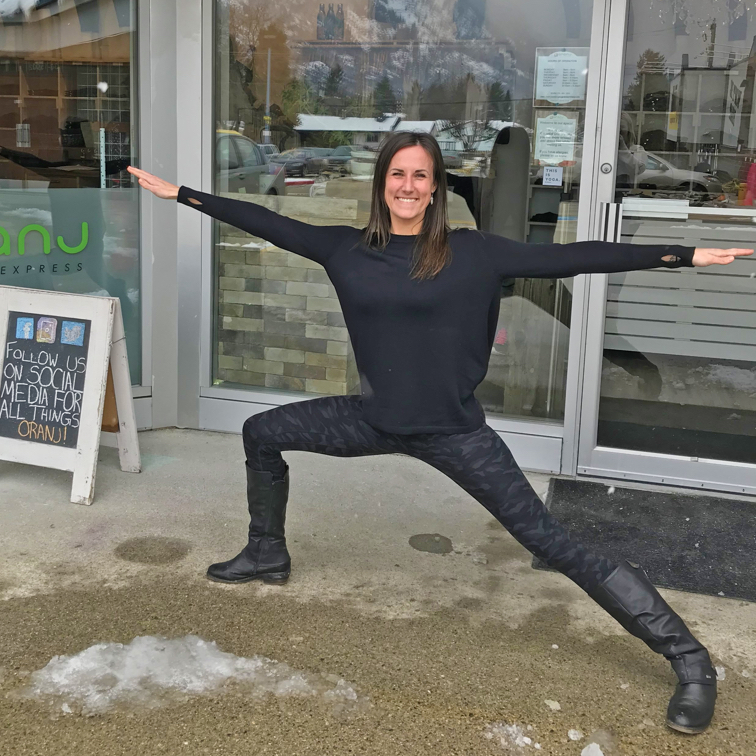 Mandy Chutskoff is a Kootenay-born entrepreneur who is supporting the sustainability of her community and sharing her love for yoga through her business, Oranj Express fitness studio, in Castlegar. “I hope to see the holistic and earth-conscious boom in Nelson spread outward to the surrounding area,” she said. DAWN ENGLISH, owner/founder, Diggers and Daisies Children’s Consignment. 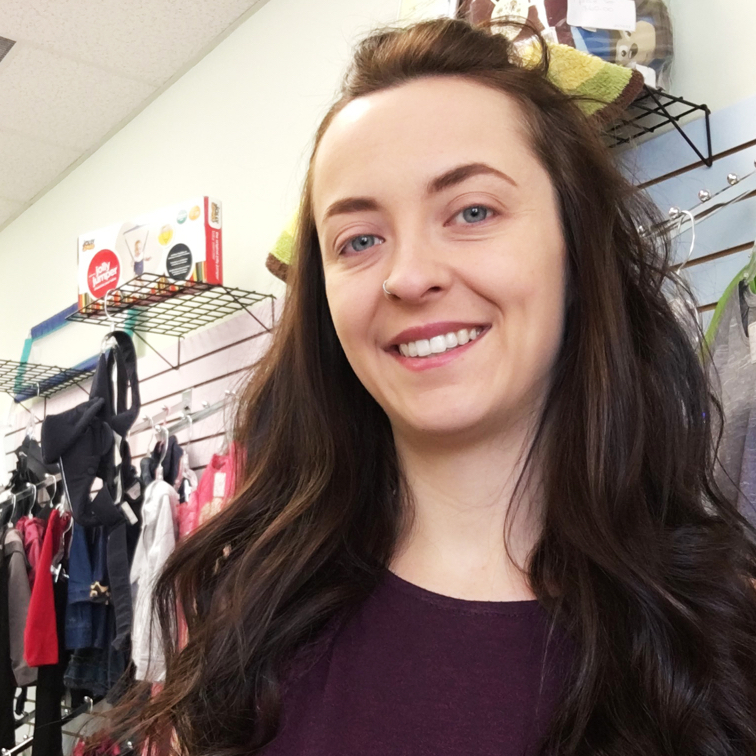 Dawn English of Castlegar opened her new business, Diggers and Daisies Children’s Consignment, in October 2017, and already needs to think about expanding. 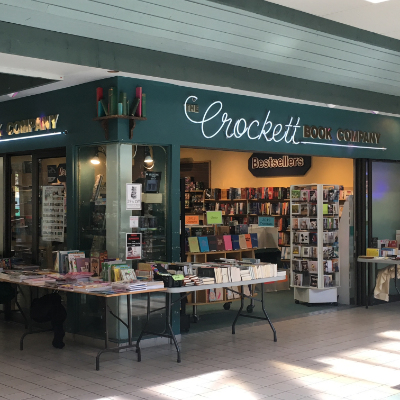 English is her own bookkeeper, marketer and display artist, and her customers hail from the entire surrounding area. 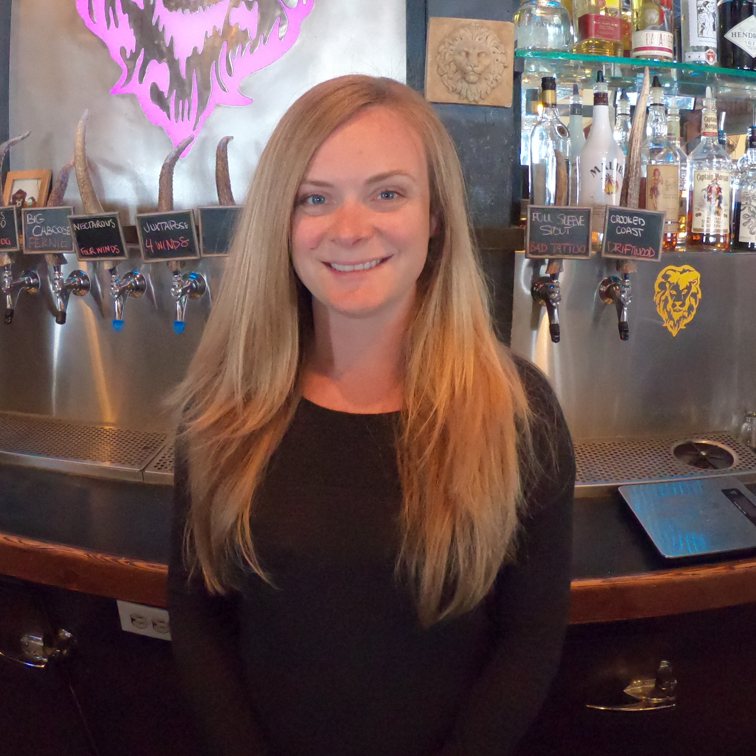 CARLY HADFIELD, owner/operator, vice-president, Lion’s Head Smoke & Brew Pub. In the bustle and busyness of a normal workday at the Lion’s Head Smoke & Brew Pub, co-owner/operator Carly Hadfield is a centre of calm. Her insistence on quality and her passion for craft beer have supported the growth and success of the Lion’s Head and its staff. SUZIE LAROSE, owner, operator, Suzie’s Designer Nails. 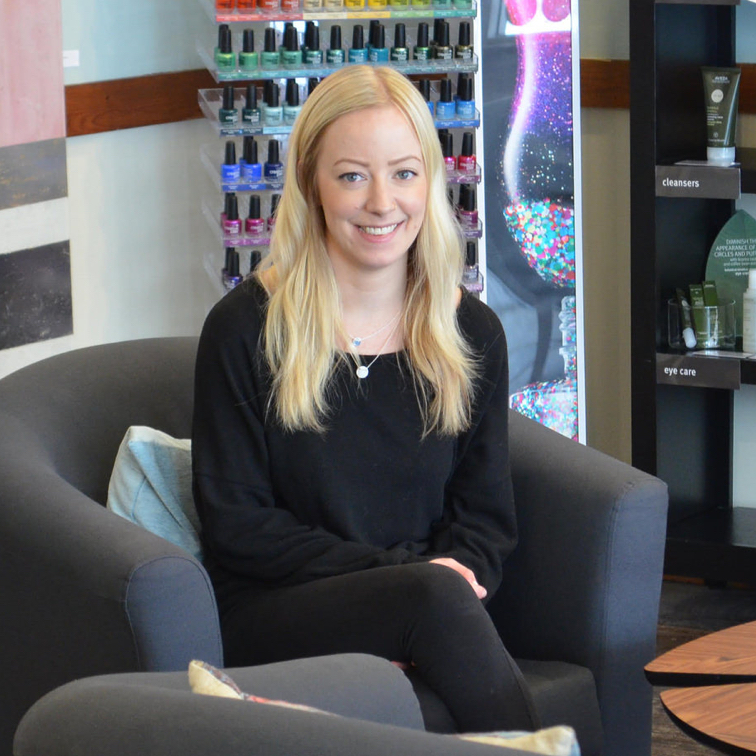 After years of work in other salons, Suzie LaRose opened Suzie’s Designer Nails in Castlegar. LaRose has a fine arts degree and is a trained educator for the NSI brand of nail care products. She provides a private, feminine space and professional service for her clients. 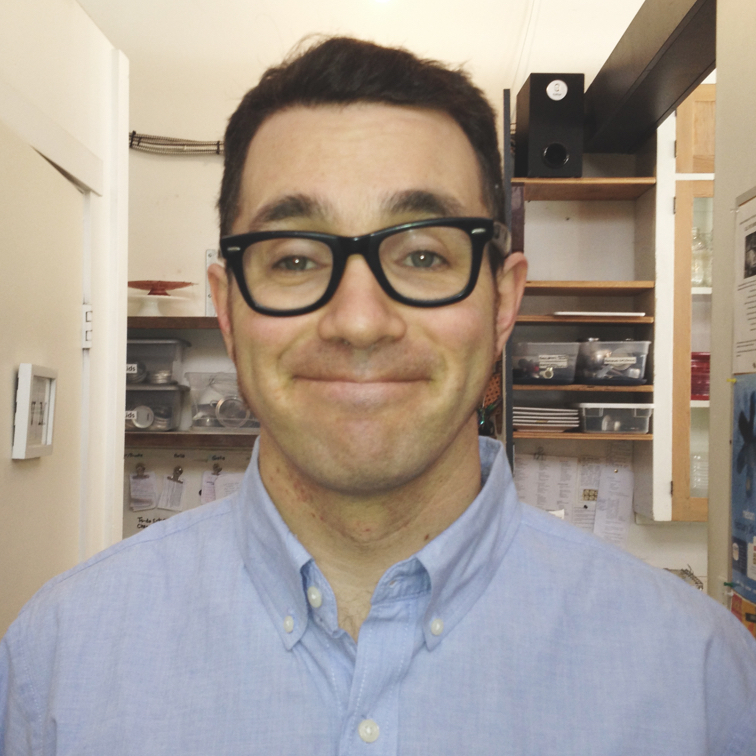 CHRIS MANSBRIDGE, owner, Chris Mansbridge Acupuncture. Chris Mansbridge is dedicated to helping his clients to get the most out of life, including less pain and better sleep. Chris Mansbridge Acupuncture offers acupuncture, cupping, herbal treatments and supplements, among other treatment modalities. 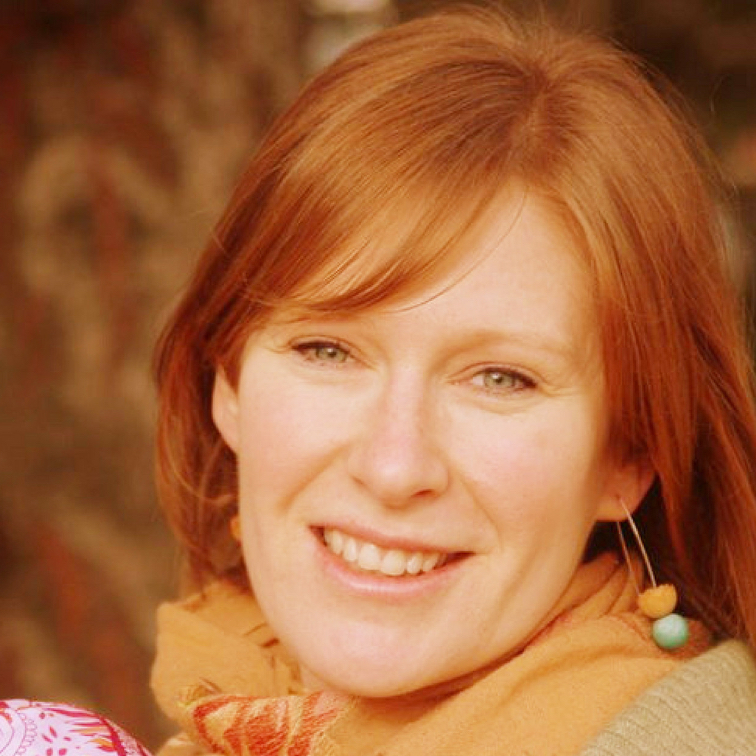 HOLLY SMEE, owner, Hollytree Wellness Centre. 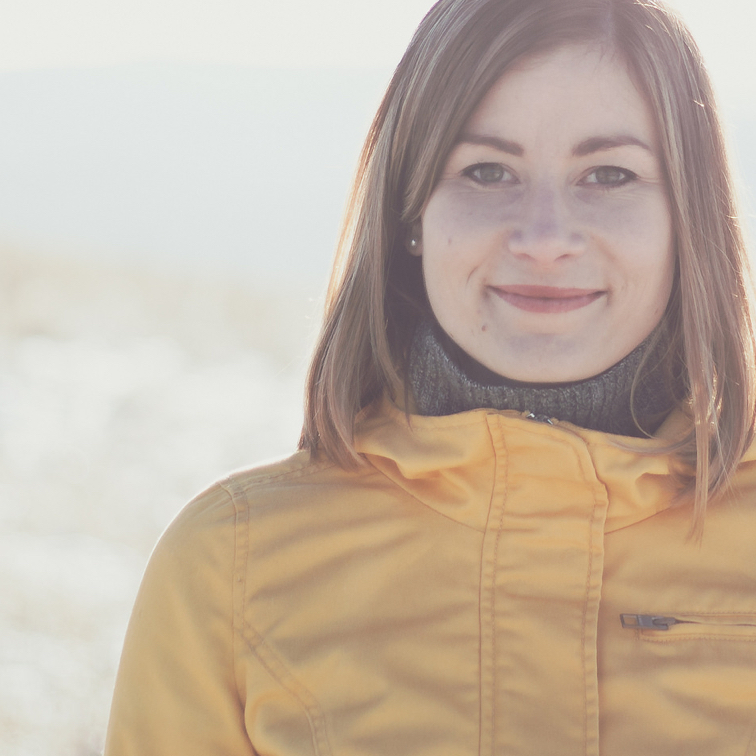 Holly Smee owns Hollytree Wellness Centre in Castlegar, and she’s made it her mission to continually grow and improve herself and her business. She regularly attends workshops and pursues other educational opportunities in order to offer the most updated skills and expertise to her clientele. Her empathy and passion for helping others has made her an inspiration to everyone around her. NICOLE KAUFFMAN, owner, Cap-it Cranbrook. 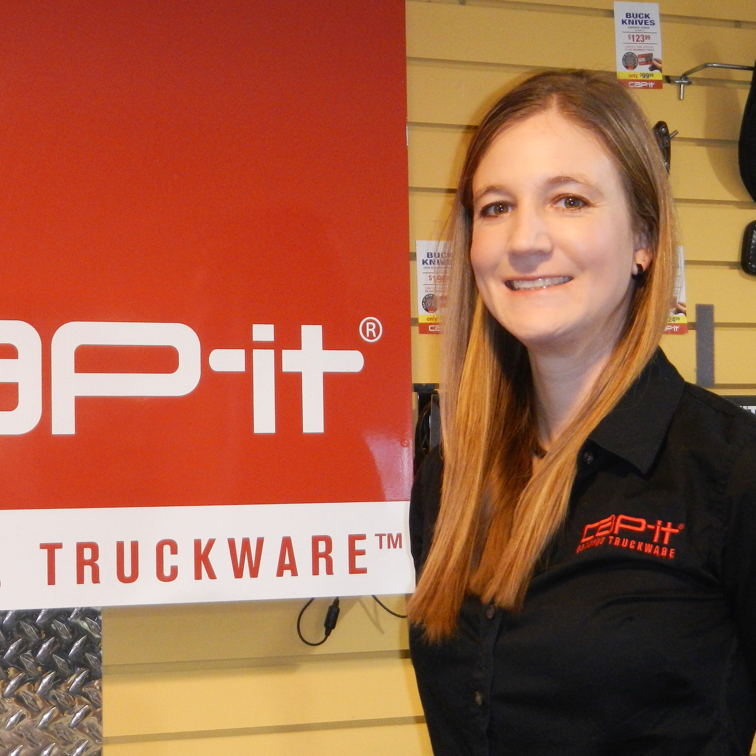 Thanks to Nicole Kauffman, owner of Cap-it Cranbrook, Cranbrookians can git ’er done with the supplies found in their favourite truck accessory store. For the past three years, Kauffman has been providing truck lovers with everything they need. DENNIS SCOTT, owner, DC Scott Construction & Installations. 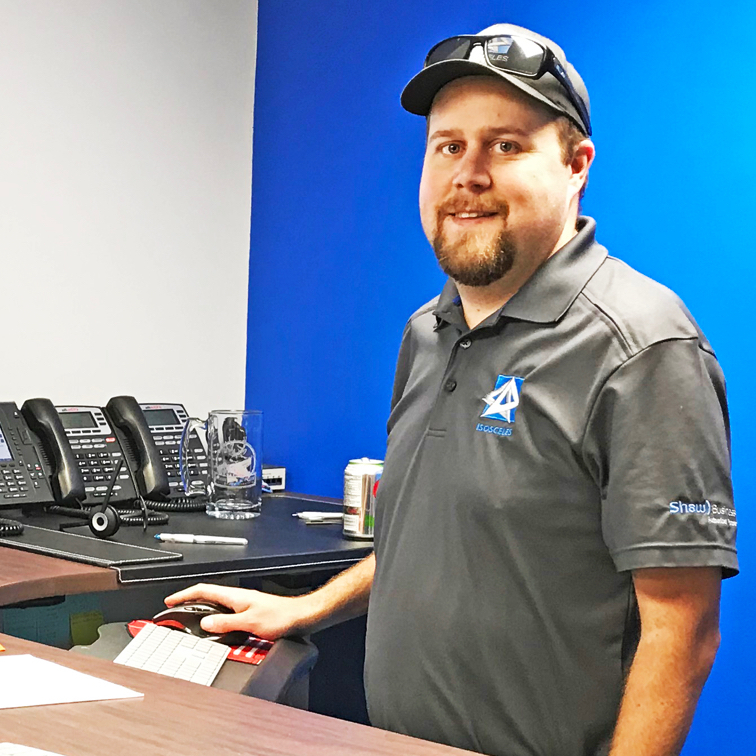 Dennis Scott of DC Scott Construction & Installations breaks his big-picture goals into small, achievable tasks in the short term. 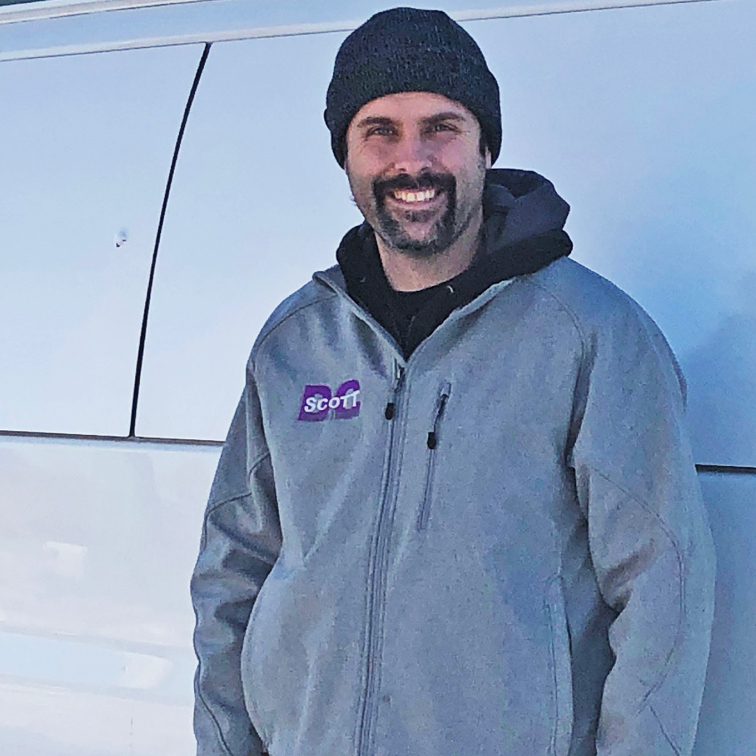 The success of that approach has earned him a loyal customer base and a contract as an installer for Cranbrook’s Home Depot store. LEE TENGUM, president, 7am Development. Lee Tengum’s company, 7am Development, is supporting local businesses by helping them reach beyond the Cranbrook area to provide their services to a far greater audience. By growing their audience, businesses can then tap into the connections of their customers, and increase their reach. KYLE HAMILTON, co-founder, owner, birr marketing agency and Kyle Hamilton Photography. Kyle Hamilton’s I Am Fernie is a three-book set of photographs of each resident of the city. Hamilton does contracted photo sessions, is a partner in a new business called birr marketing agency and volunteers with a number of Fernie’s community organizations. 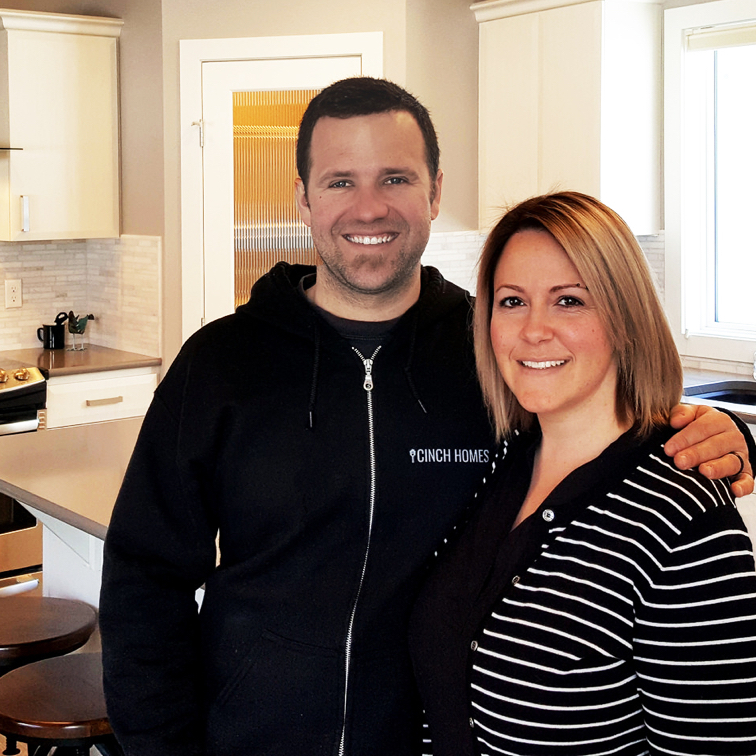 MIKE AND MELISSA MACKAY, owners, Cinch Homes. Cinch Homes is owned and run by the husband-wife duo of Mike and Mel MacKay. Mike is a journeyman carpenter whose years of building experience include: renovations, foundations, modular and manufactured sales and setup. Cinch Homes provides high-quality, affordable modular and manufactured housing options in the Elk Valley. 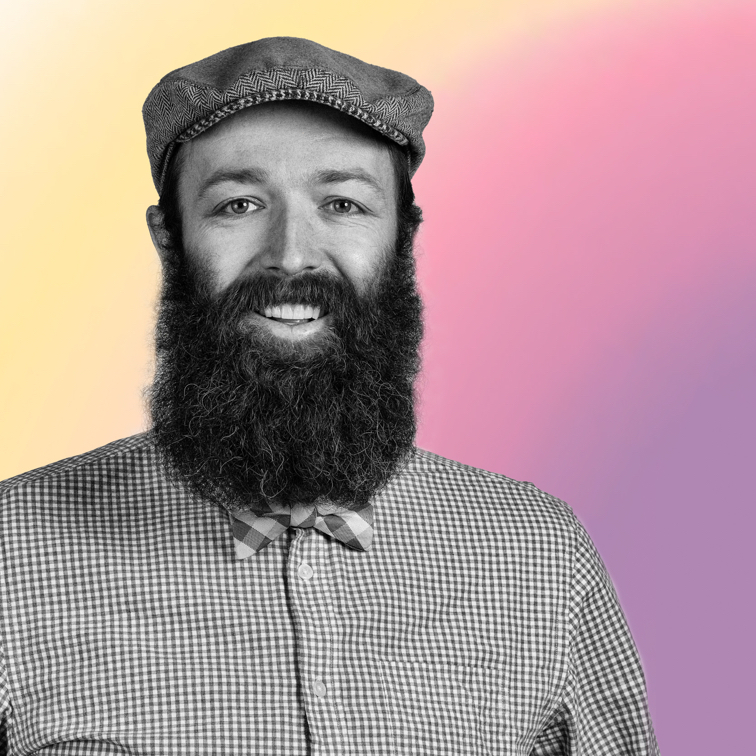 SEAN McTERNAN, owner/founder, Beyond the Summit Print & Digital Design. 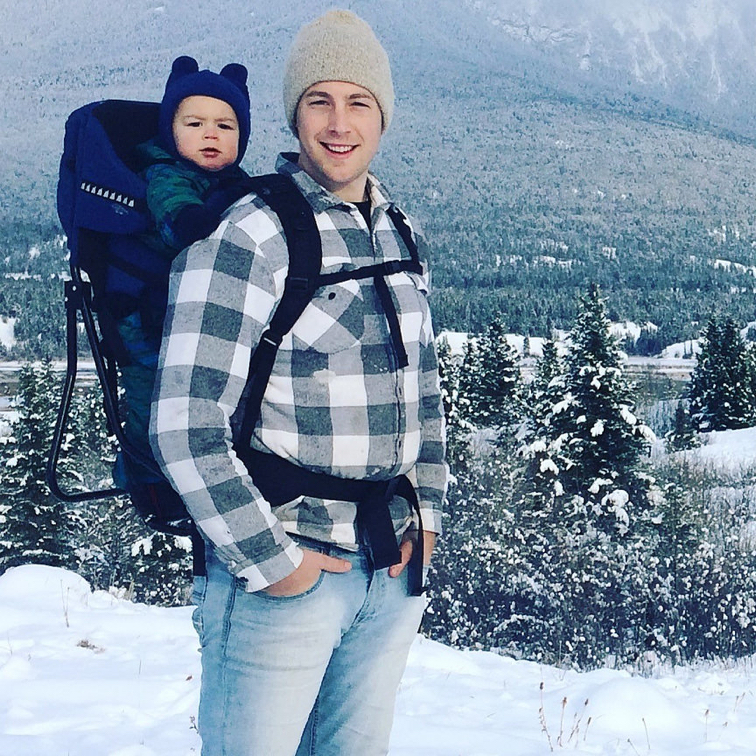 Ireland-born Sean McTernan settled in Fernie in 2016, captivated by its beauty and its active lifestyle options. His web-based business, Beyond the Summit Print & Digital Design, brings a fresh young approach to the image of business. 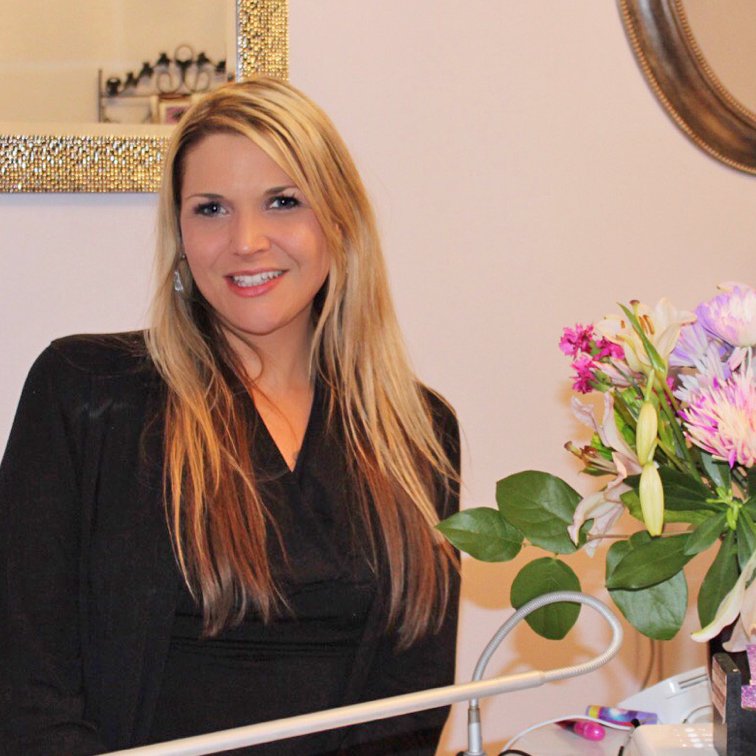 LINDSAY REYNOLDS, owner, Three Sisters Day Spa. 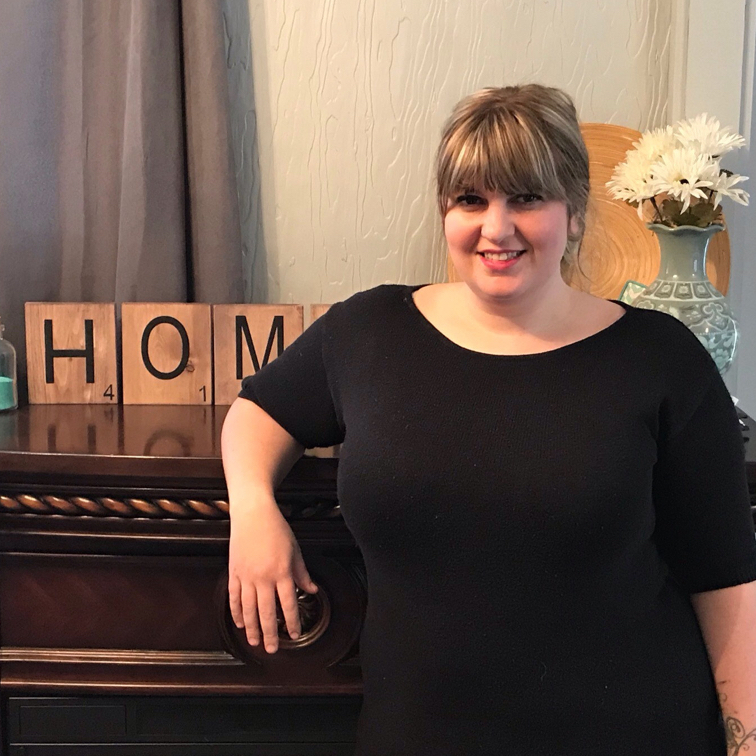 Since 2014, Lindsay Reynolds, owner of Three Sisters Day Spa, has been delighting locals and tourists alike with superb amenities and soothing services. Three Sisters Day Spa offers a full range of esthetic, spa and massage therapy services, all incorporated around the use of Aveda skin care, body care and makeup products. CHANTEL VINCENT, owner, Freyja Lifestyle Fashion. Chantel Vincent is the owner of Freyja Lifestyle Fashion and artistic director for the Wapiti Music Festival, Fernie’s summer indie music gathering. 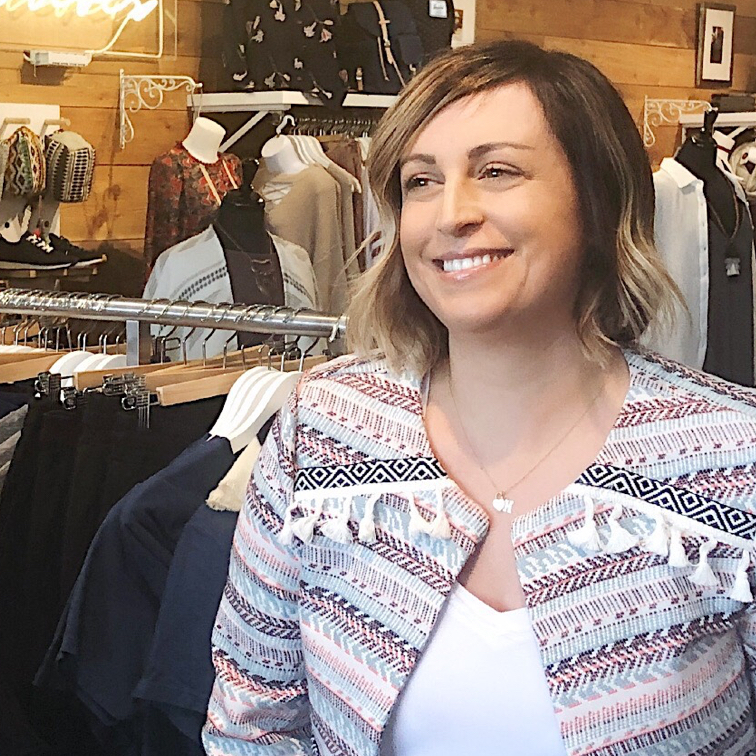 For over a decade, Vincent has been providing trendy clothing that reflects the tastes and styles of women in the Kootenays. DANIELLE LABELLE, owner/founder, Studio Labelle Dance. Danielle Labelle teaches classical ballet to young students aged three to 15, and also holds adult classes at Studio Labelle Dance in Fruitvale. Her inspiring approach and kind, patient demeanour were mentioned multiple times in the nominations she received. Labelle supports her dancers in reaching their personal goals and she breathes creativity into every aspect of her business and life. 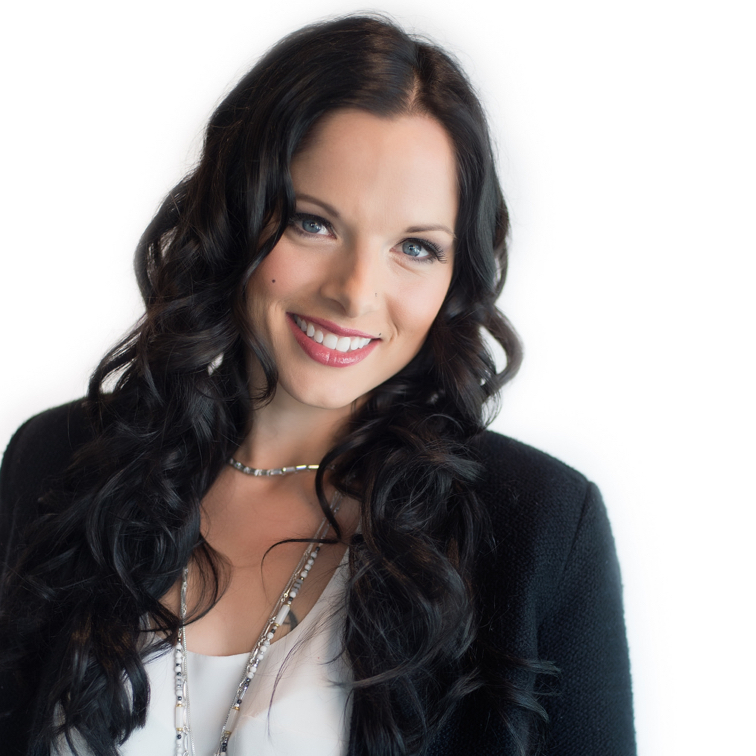 KRISTIE NORQUAY, owner, Golden Lotus Yoga Studio. 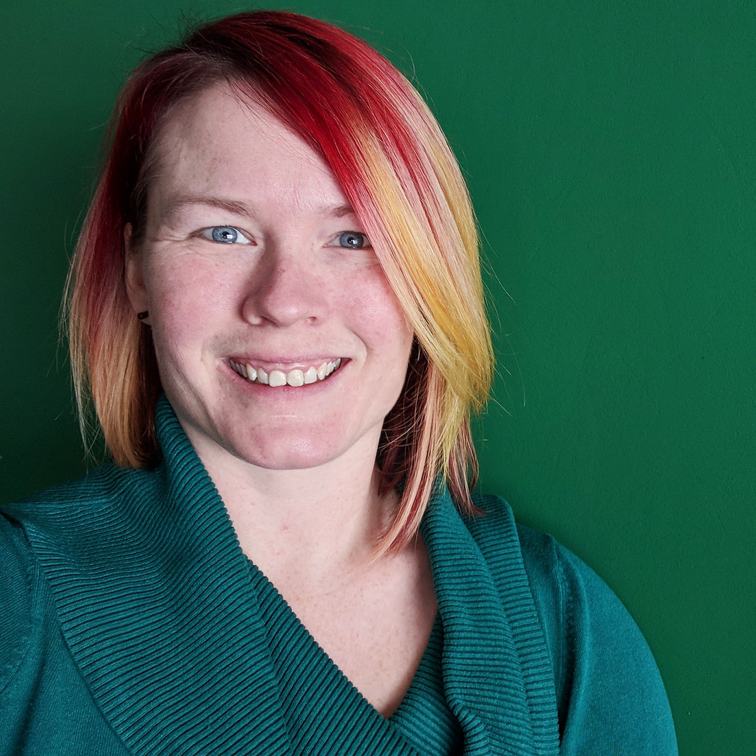 Kristie Norquay is a physiotherapist at Element Therapeutics and the owner of Golden Lotus Yoga Studio where she is a yoga teacher and therapist. Norquay takes a holistic approach to her clients’ wellness, integrating the philosophy of yoga into her physiotherapy practice. BETHANY THATE, owner and founder, Divinyl Signs. Bethany Thate has turned her hobby into a dream job as owner of Divinyl Signs in Grand Forks. She runs themed sessions where people use stencils to create messages that communicate, amuse and inspire. She also sells customized packages of materials for at-home creativity. DAVID READ, owner, Valley Hawk Security. 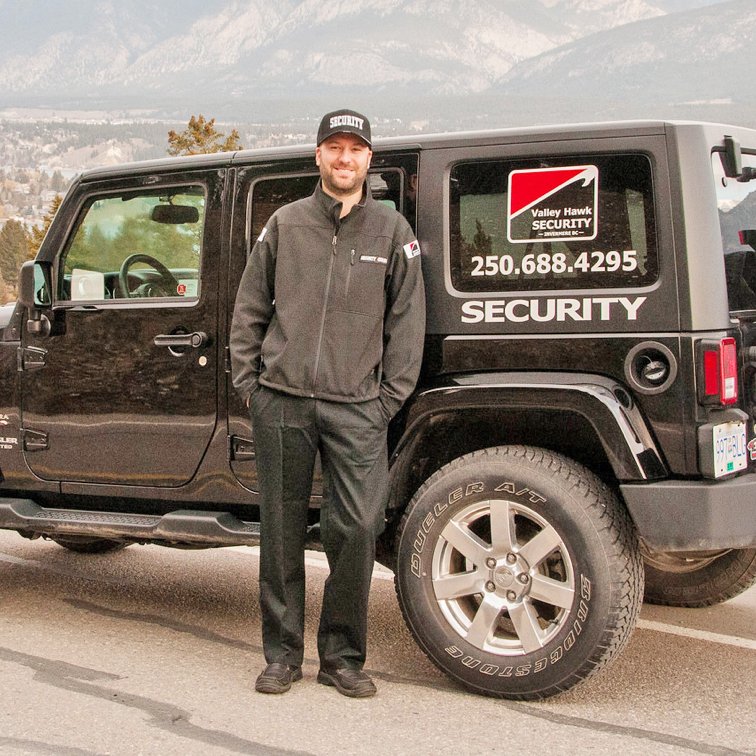 David Read started up Valley Hawk Security back in 2005 in an effort to ensure safety and peace of mind for Columbia Valley residents and business owners. Read provides a full range of professional security services, and has earned the trust of his clients. STEPHANIE VAN de KEMP, co-owner, chief spare tire, Cleanline Automotive. 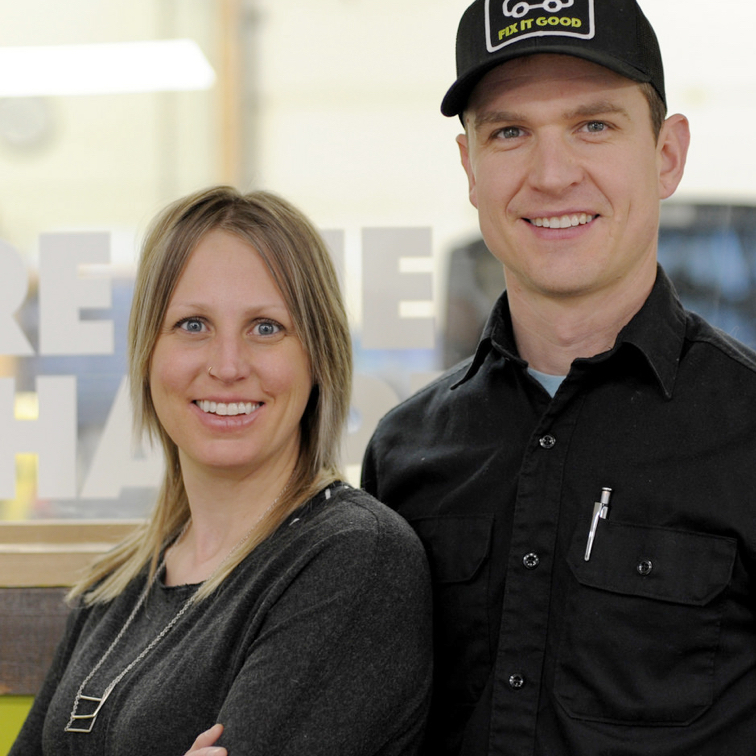 Stephanie and Aaron Van de Kemp are celebrating six years at Cleanline Automotive, their earth-friendly, full-service auto maintenance and repair shop in Invermere. Both are passionate, hands-on advocates for a clean environment, and Steph has championed the calculation of a living wage for the Columbia Valley. EDEN YESH, project manager, Kootenay Employment Services Invermere. 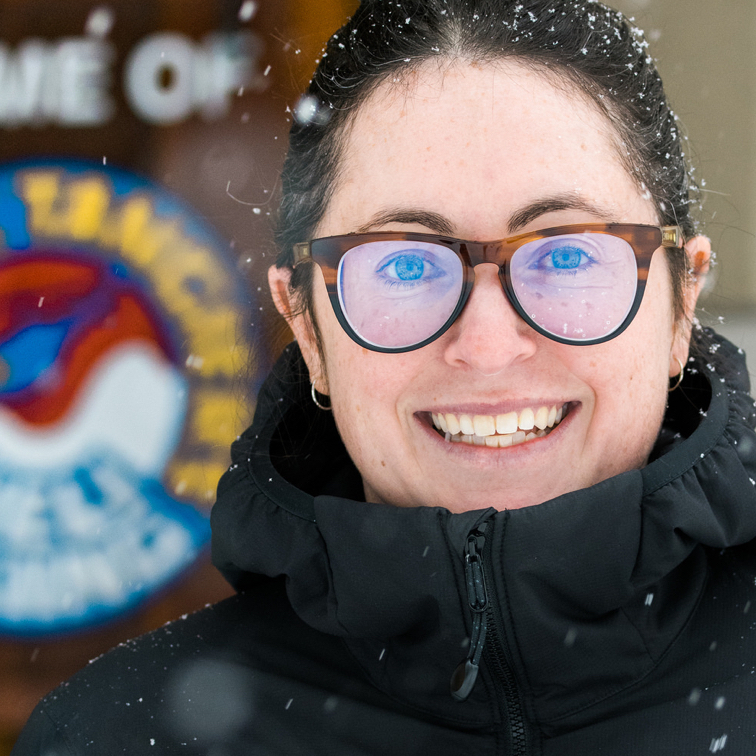 Eden Yesh, former part-time entrepreneur and consultant, now works with Kootenay Employment Services as project manager, setting up two new community investment co-ops in southeastern B.C. He is setting up these investment co-ops to help entrepreneurs access capital and mentorship for their projects. CHANTEL DELANEY, owner, Sprout Health Market. Chantel Delaney is a certified herbal practitioner, product educator and music/film enthusiast from Kimberley. She owns Sprout Health Market, created an East Coast music project called Saltwater Sessions, and even delved into the film festival world with Kimberley Horror Fest, which is now entering its second year. JOANNA SLEIK, owner, K9 Rehab. 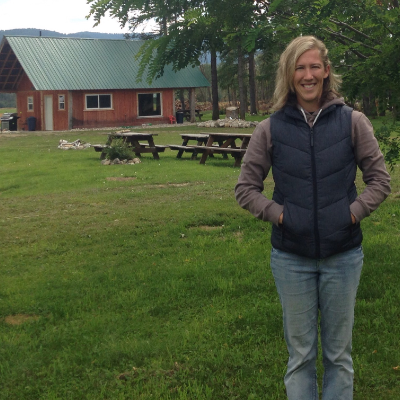 Joanna Sleik began her career as a physiotherapist in Cranbrook. After taking animal rehabilitation courses through the Canadian Physiotherapy Association, she eventually moved to Kimberley and started K9 Rehab. This allowed her to combine her love of animals with her passion for health and wellness. 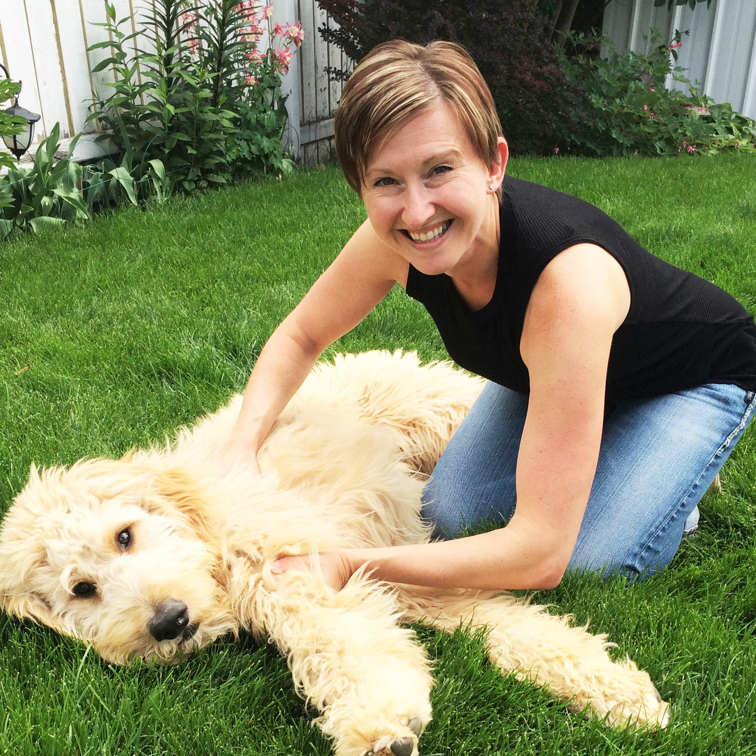 She has an excellent working relationship with Kimberley and Cranbrook veterinarians, and is known for her compassionate approach to canine therapy. 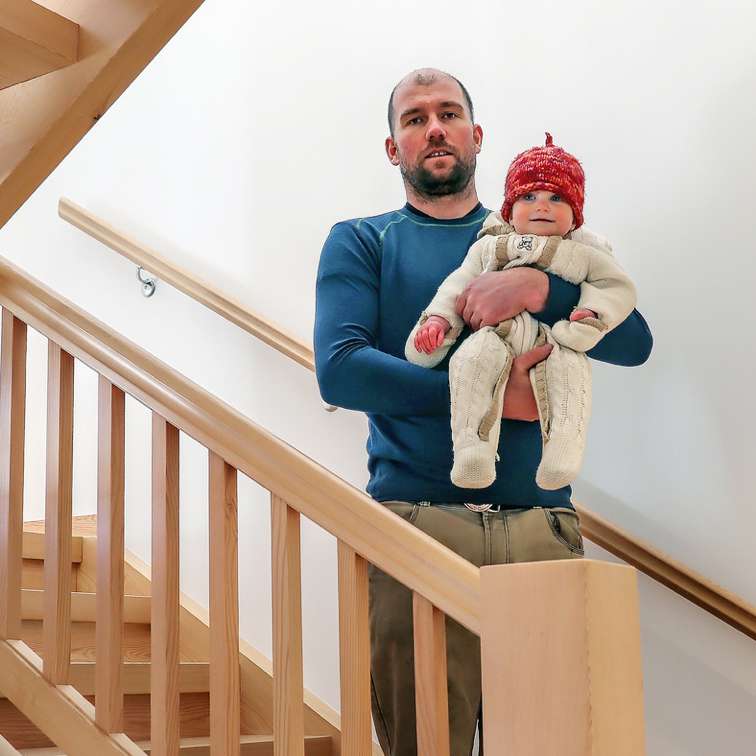 DAVID MADDEN, owner, Madden Timber Construction Inc.
Dave Madden of Madden Timber Construction Inc. is the first contractor in the Kootenays to construct a building meeting the highest standard of energy consumption worldwide, set by the Passive House Institute. The beautiful multi-unit residential facility is set on Nakusp’s waterfront. 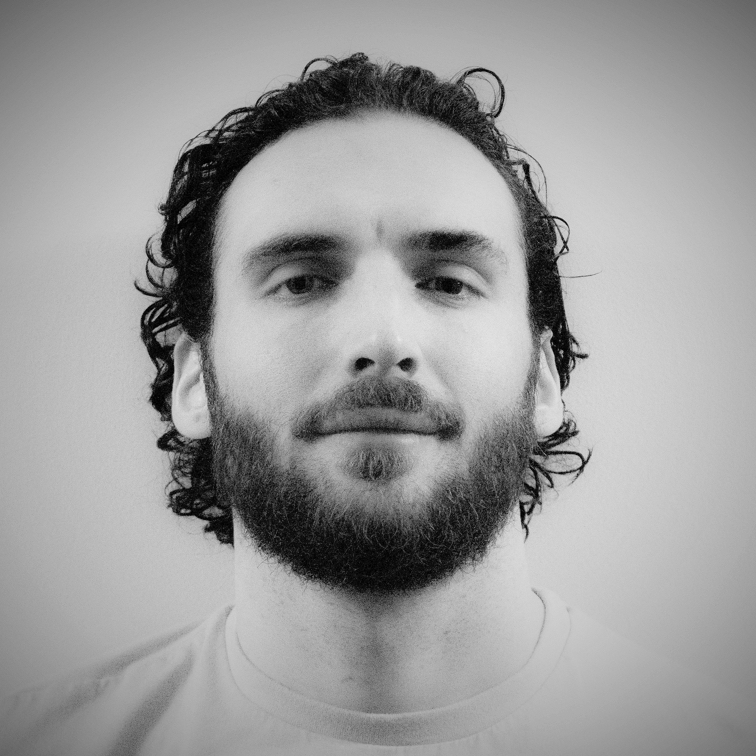 MATEUS DACHWITZ, co-founder and head coach, Red Path Movement. 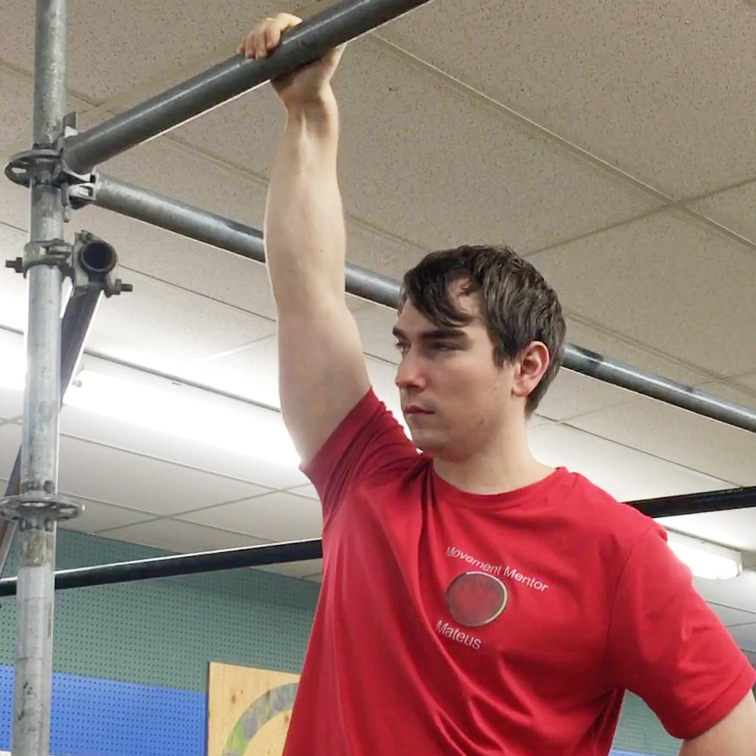 Mateus Dachwitz became a parkour leader at the age of 16, and by the age of 20 he had achieved his ambition to turn his passion for the sport into a paid livelihood. His business, Red Path Movement, is located in Nelson, below the Pharmasave on Baker Street. SIERRA DANTE, owner/operator, Sweet Sleep Consulting. Sierra Dante of Sweet Sleep Consulting is currently the only child-sleep consultant in the Kootenays. Her techniques are helping her to establish a successful business and capture a warm place in the hearts of formerly sleep-deprived parents and children in Nelson and its surrounding communities. TANYA FINLEY, owner, Finley’s Bar and Grill, Sage Tapas & Wine Bar. Tanya Finley is known around Nelson for being an exceptional employer and a savvy businesswoman. 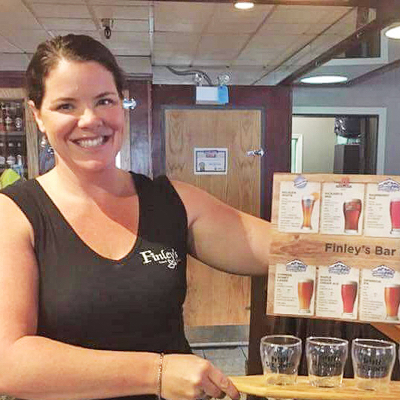 She runs two popular restaurants in town—Finley’s Bar and Grill and Sage Tapas & Wine Bar. In addition to this, she is the vice-president of the Nelson & District Chamber of Commerce. 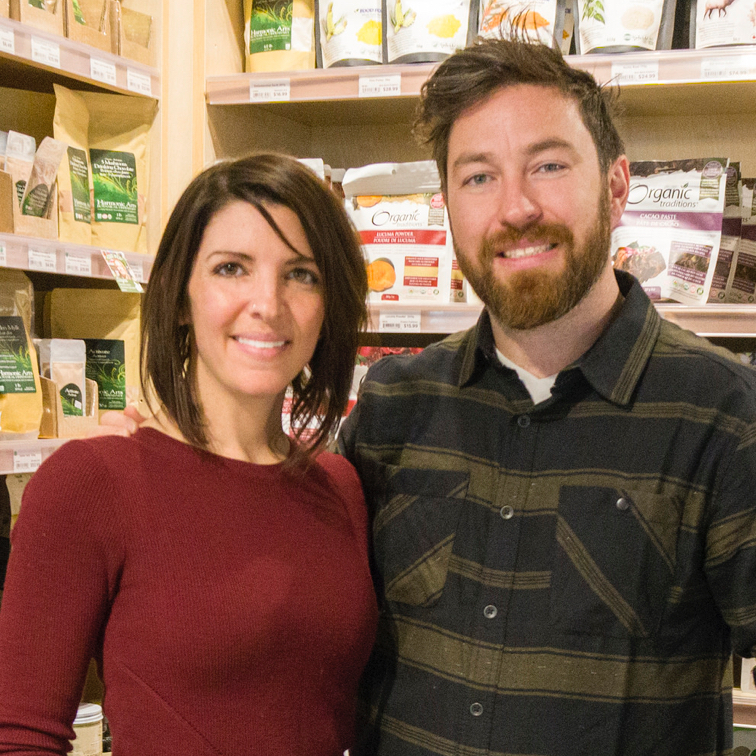 KEVIN HAGEL & DANA DiPONIO, co-owners, Nelson Naturals. 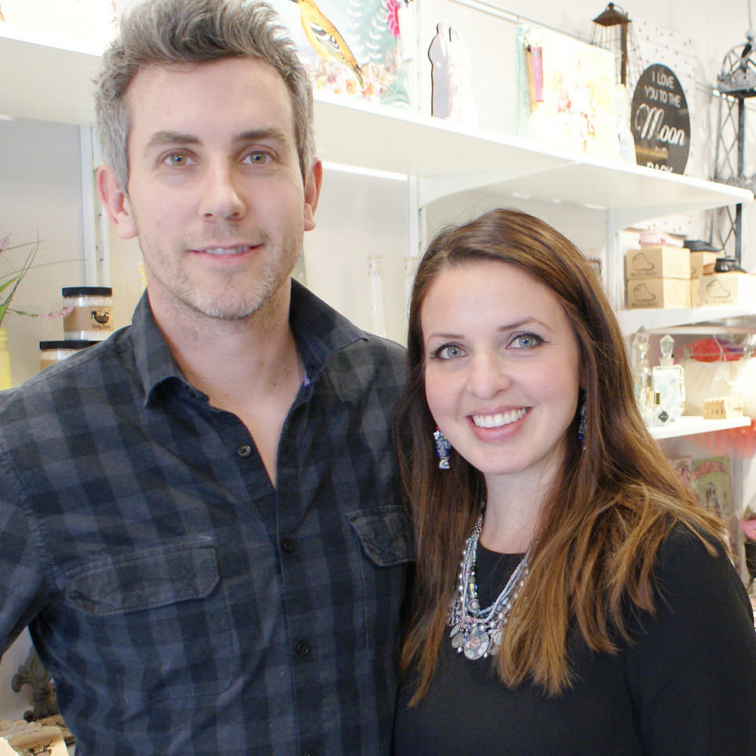 Kevin Hagel and Dana DiPonio of Nelson Naturals create natural toothpaste. But don’t expect to find any tacky, distasteful plastic tubes in their business, nor any harmful chemicals. GEOLYN MANTEI, owner, Moda Partners. GeoLyn Mantei of Nelson is all about positivity, inspiration, passion, competence and the entrepreneurial spirit. She is the owner of Moda Partners, a national marketing agency, she’s chair of QuickShot Media, a digital media company, and founder of Muddy Stilettos, an organization that inspires and supports women entrepreneurs. JACEY PATON, owner, Jacey Kendall Photography. 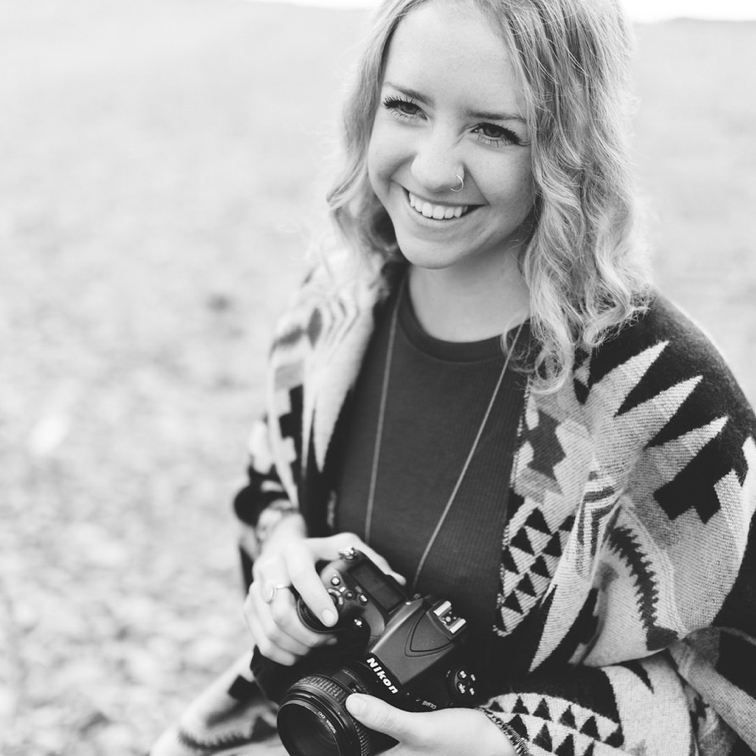 Jacey Paton is well-known in Nelson for her business, Jacey Kendall Photography—but also for the countless hours she spends helping others. She regularly volunteers for non-profit organizations, and donates gift certificates to help with fundraising efforts. As a talented young photographer, Paton elevates her work to the level of artistry, celebrating the beauty in all her subjects. WABIE QUAYLE, owner, cake artist, Starbird Bakehouse. Wabie Quayle built Starbird Bakehouse on a foundation of cupcakes. Now she provides a much-expanded range of products for all manner of gatherings and celebrations. Starbird’s website photos and testimonials confirm the quality and gorgeousness of Quayle’s creations. KAT CADEGAN, owner, designer, metalsmith, Kat Cadegan Jewellery. Kat Cadegan, a jewelry designer and manufacturer, came to live in Revelstoke for the beauty and lifestyle offered in the surrounding area. Her handmade jewelry is inspired by life and nature, and available via her website, www.katcadegan.com. 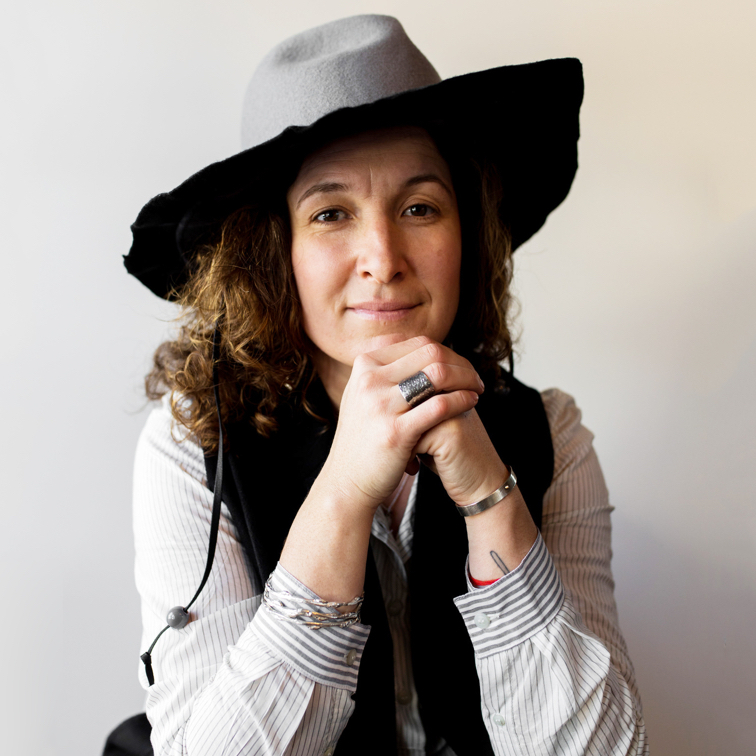 NICOLE CHERLET, owner, Big Mountain Kitchen & Linen. As the owner of Big Mountain Kitchen & Linen, Nicole Cherlet has made a name for herself in Revelstoke. Her devotion to her customers and community has led a number of locals to nominate her, each one praising her volunteer contributions, exemplary service and extensive product knowledge. 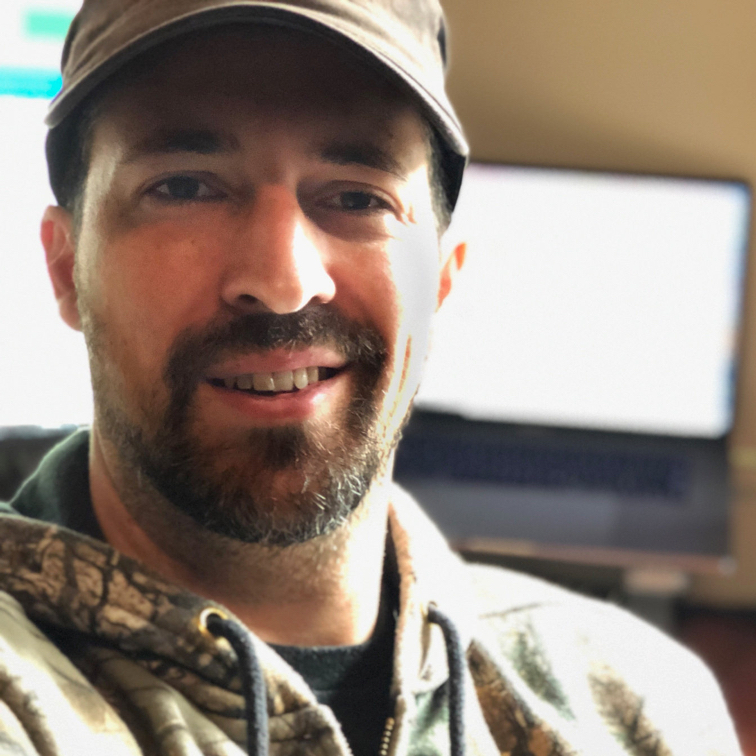 AARON DAVIDSON, founder, CEO, Cronometer Software Inc.
Aaron Davidson of Revelstoke has designed and marketed a nutrition, fitness and health tracking app called Cronometer. The app has become very popular in Canada and has a growing user base internationally as well. 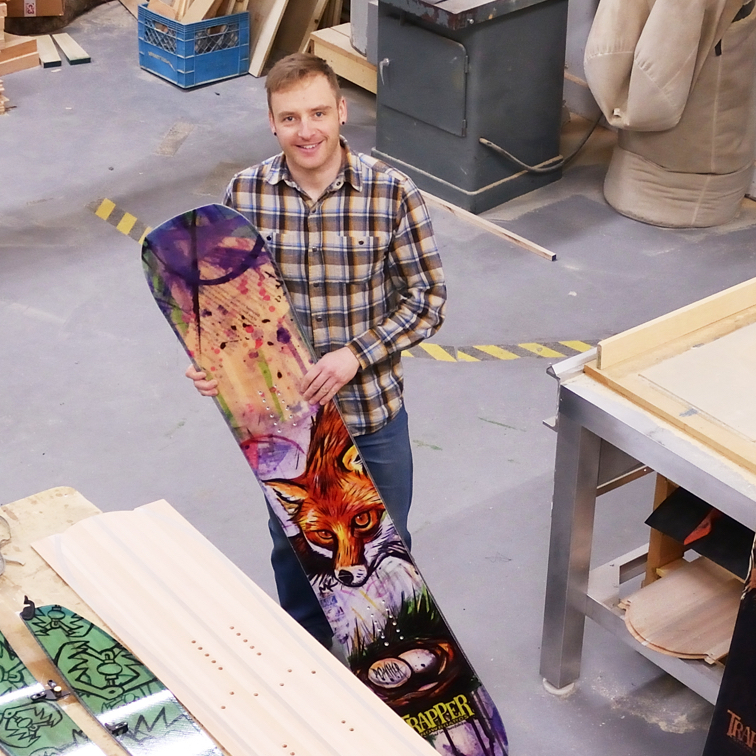 GREG FORTIER, owner, founder, do-it-all, Trapper Snowboards Ltd.
Greg Fortier’s high-quality product, Trapper Snowboards, is growing in popularity well beyond its home community of Revelstoke—the brand is becoming known across North America. 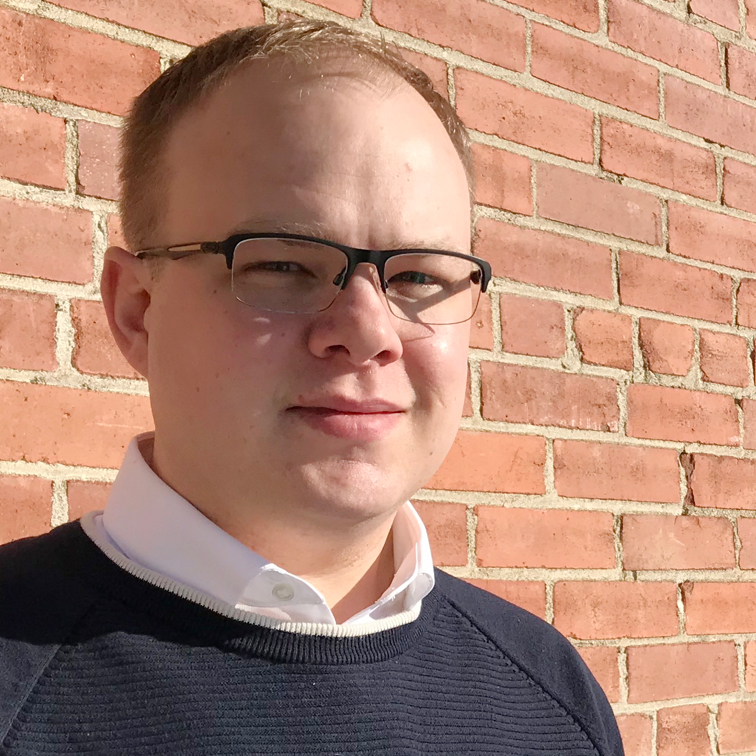 Fortier is a man of many talents—he’s an engineer, a manufacturer, a marketer and a community volunteer. SIOBHAN O'CONNOR, manager, Retail & Guest Services, Selkirk Tangiers Heli Skiing. Siobhan O'Connor is the manager of retail and guest services at Selkirk Tangiers Heli Skiing. Under O'Connor’s guidance, the company has grown and matured to be recognized as one of the premier heli-ski destinations in the world. 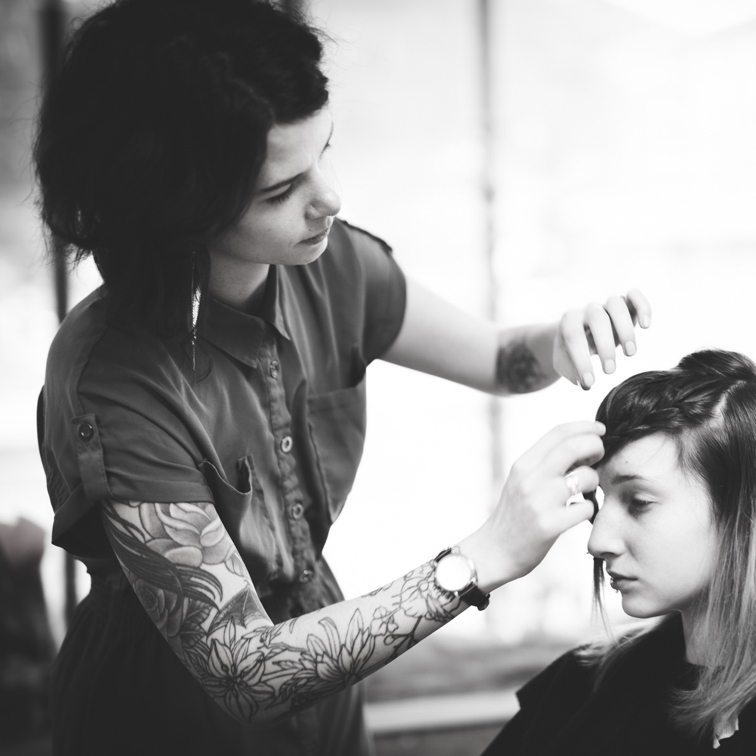 SARA SANSOM, owner, Birch & Lace Hair Salon, Feather & Stone Spa. 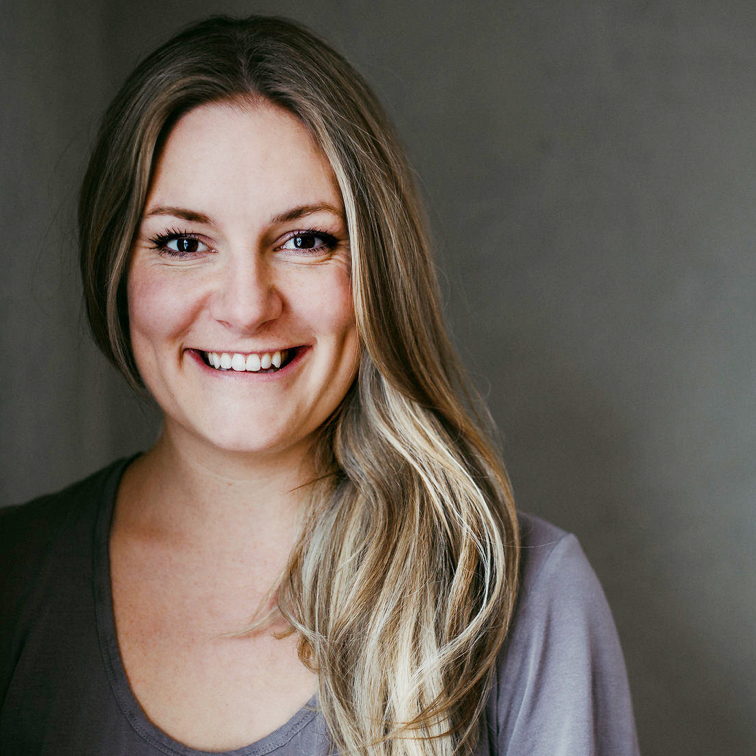 Sara Sansom is the proud owner of Feather & Stone Day Spa and Birch & Lace Hair Salon in Revelstoke. As an ambitious young entrepreneur, Sansom has earned a shining reputation for her volunteer work in the community, and the environmental awareness programs and protocols she incorporates into her business practices. She also plays an integral role serving on the Revelstoke Chamber of Commerce board of directors. ALISSA BRYDEN, owner, Virtual Heights Accounting. 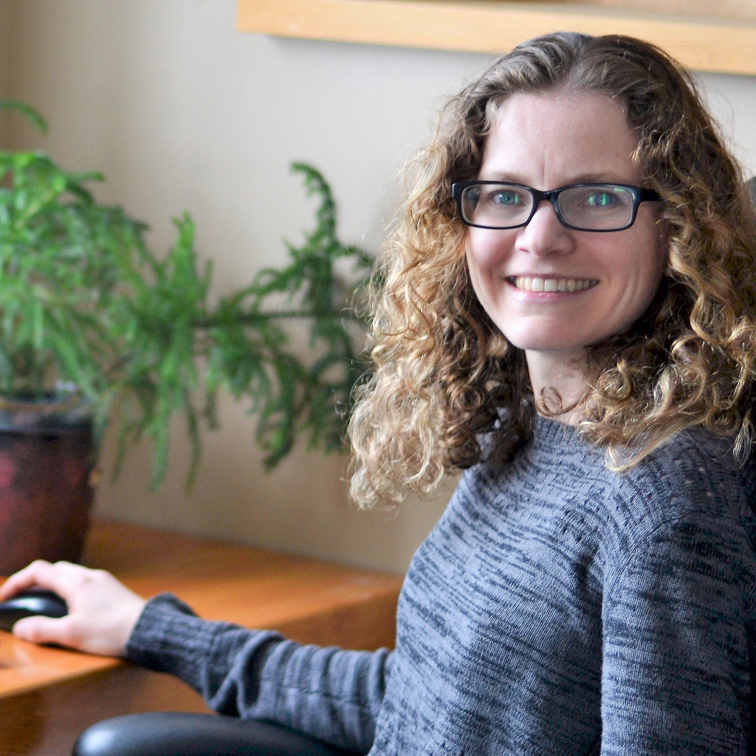 As the owner of Virtual Heights Accounting in Rossland, Alissa Bryden helps her clients with their virtual accounting needs in an efficient, stress-free manner. By using cloud-based software and apps, Bryden is able to streamline accounting processes and reduce the administrative workload placed on busy professionals. 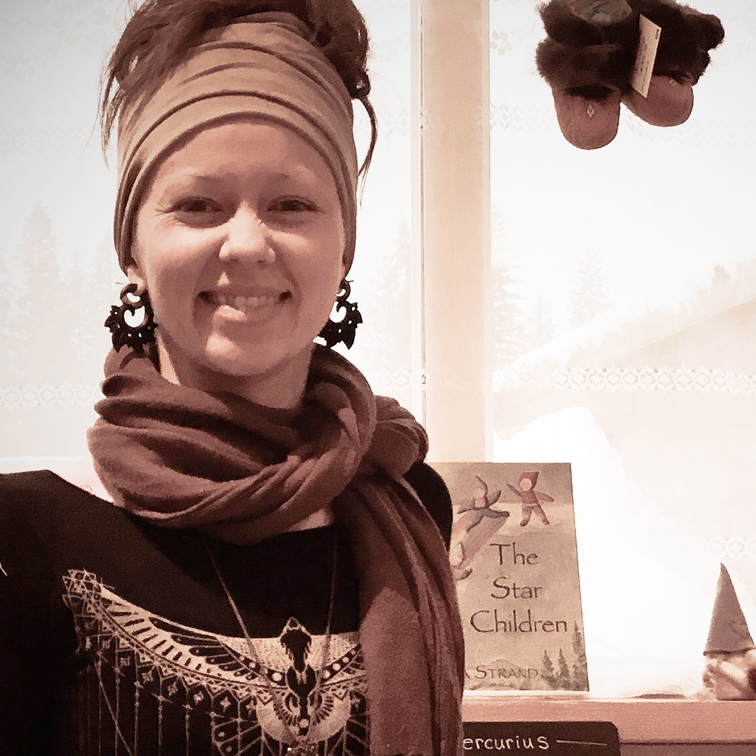 CARINA KLASSEN, sole proprietor, Spinning Fables Children’s Apparel & Crafts. In January 2018 the business and arts communities of the Slocan Valley welcomed Spinning Fables Children’s Apparel & Crafts, owned and operated by Carina Klassen. The shop features new and gently used children’s clothing and toys, and fibres from locally raised sheep. 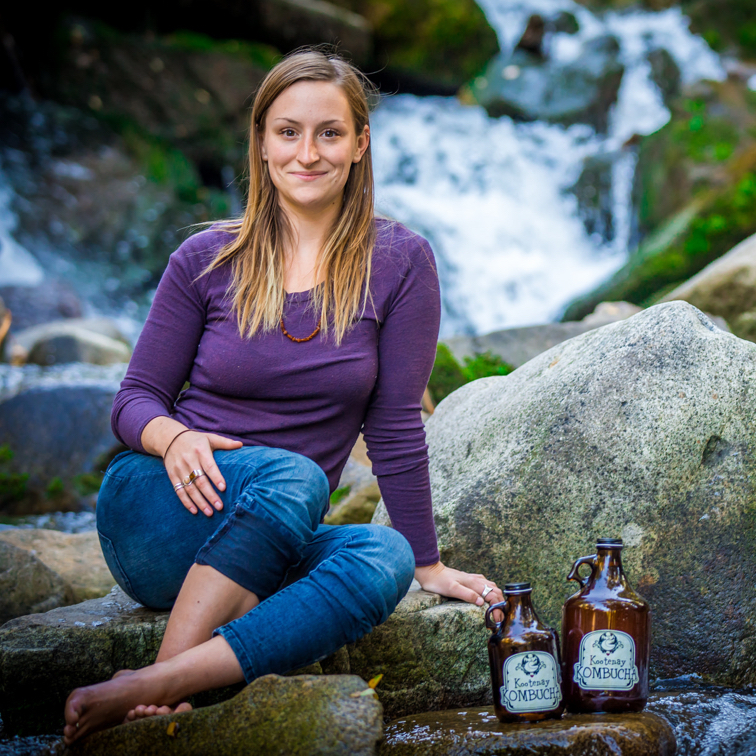 LAVINIA LIDSTONE, owner, Kootenay Kombucha. Brewing kombucha, a probiotic herbal elixir, became the best and most effective way Lavinia Lidstone could think of to aid people suffering from digestive problems. Now, at only 25 years old, this child of the ’90s has established Kootenay Kombucha, a small-batch craft brewery that has been filling growlers for years.